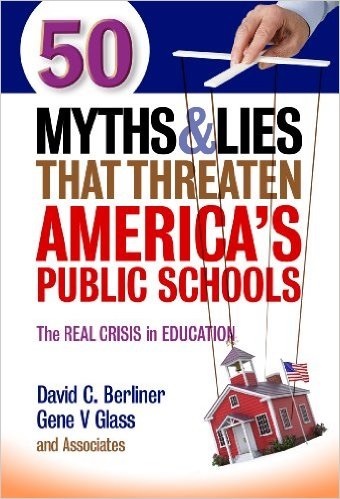 50 Myths & Lies That Threaten America’s Public Schools: The Real Crisis in Education by David C. Berliner, Gene Glass, and Associates takes on many myths that have support amongst reformers and the media. This is a must read for anyone fighting the madness of our current test-and-punish school reform system. Give a copy to any policy maker you know. “America’s public schools are being hijacked and destroyed by greed, fraud, and lies.” James Meredith – 1st black students at the University of Mississippi 10/1/1961. This quote sums up the purpose of this book. The authors limited themselves to only 50 and hope that readers will send in some more that do not appear herein. Myths are beliefs in things that may or may not be true. They fill in the void left by ignorance. The focus here is on myths that are untrue and that are having unhappy consequences. Hoaxes are different in that the person pushing them knows them to be dubious or untrue, but also knows that they will greatly benefit the pusher. Liars are different in that they don’t even believe what they are saying. Once again the lies are promoted for someone’s self-interest. The overridding myth is that America’s public schools have failed. The authors do an excellent job showing that this is not the case. Myths and Lies About Who’s Best: Charters, Privates, Maybe Finland? The focus here are the international tests where the US usually ends up in the middle of the pack. This is where we have been since the first efforts at country sorting where made in the 1960’s so it’s not like we have gone downhill. If you sort out the poor kids our scores are at the top with countries like Finland where poverty is 5%. The fact that the tests are in different languages and use the metric system makes them less valid. Never the less, reformers have used these scores to promote unproven reforms. The same test scores are used to show that private schools are better than public schools, but once you take socioeconomic the status of the students into consideration, public schools do better. Private school students are wealthier and whiter. Teachers have more autonomy, better resources, and few students with disabilities and English language learners. They also have less violence and discipline problems as they can control who they accept and who they get rid of. While charter schools are actually public schools, they share many of the same qualities as operators can game the system to control their population. While comparing publics to charters is difficult, the evidence we do have indicates that publics do better. The big reason in my mind is that when compared to public school teachers, charter school teachers are less experienced, less likely to be certified, less well paid, and have higher turnover rates. Adapt: Why SUccess Always Starts with Failure by Tim Harford offers an inspiring and innovative alternative to traditional top-down decision making. 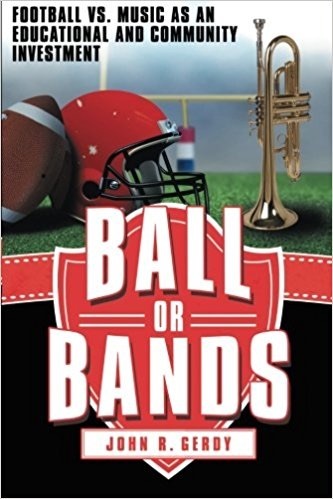 Tim deftly weaves together psychology, evolutionary biology, anthropology, physics, and economics along with compelling stories of hard won lessons from the real world. He makes a passionate case for the importance of adaptive trial and error to deal with problems both global, personal, and everything in between. Click at the bottom of any page to purchase this breakthrough handbook for surviving and prospering in an ever-shifting world. 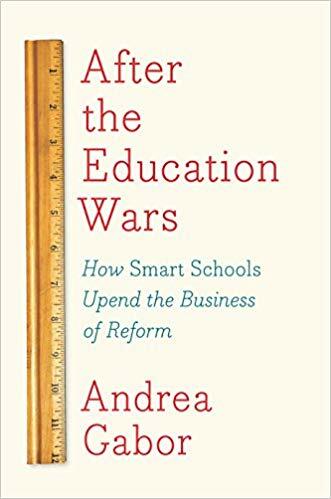 After the Education Wars: How Smart Schools Upend the Business of Reform by Andrea Gabor uses examples of successful and failing schools to demonstrate how the principles promoted by W. Edwards Deming can lead to school improvement. She provides extended histories of reforms in New York City, Massachusetts, Texas, and New Orleans to show how democratic grassroots reforms are more likely to work than the top-down approaches used in most states and cities. Everyone with the power to impact school reform needs to read this. Andrea starts by reviewing the work of W. Edwards Deming and how he helped Japanese and then American companies modernize and improve. He found the blame to lie with top management and the answers to come from bottom-up reforms as employees closest to problems were in the best position to solve them. 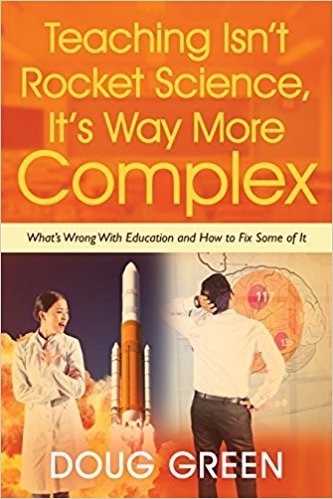 Unfortunately, the corporate-reform industry that has gained ever-increasing influence on how American schools educate children has largely ignored the strategies they used to improve production as they tinker with school reform. Business reformers came to the education table with belief in market competition and quantitative measures. Expertise from corporate boardrooms is favored over experience gleaned in classrooms. They also distrust of the education culture. It also came with arrogance, suspicion, and even hatred of organized labor. What is needed, however, is democratic collaboration, iterative improvement, and grassroots participation that is protected from bureaucratic meddling. We should value data as we understand its limits. Schools have different goals and cultures than businesses. This makes them less suited to being run like businesses. Three decades of top-down, corporate-style education reforms have proven deeply unpopular and have reaped few benefits. The number of bad teachers is also overestimated by reformers, but efforts to punish low performers has lowered morale and increased turnover. Other business practices like incentive pay have also had a negative impact. The only winners have been the testing and technology industries at the expense of a narrowed curriculum. This book will reveal what has worked, which should guide the next reform effort. This chapter takes us through some history of New York City Schools from the 1960’s to relatively recently. It tells of how a number of schools gained success by being small and at the same time allowing teachers to pretty much run the schools. In a sense, they used Deming’s grass-roots ideas to interest students in the learning and act as role models. They shunned standardized testing and looked at other performance indicators. A sense of creative non-compliance pervaded these schools as they bent the rules and looked for cracks in the system. Classrooms were more open and curricula less fixed. There was lots of learning by doing, art, music, and field trips. A new generation of educational leaders arrived who had no experience teaching. Rather than learn Deming’s principles like industry, they instituted top-down reforms. Even though they saw the success of small schools, they missed the rest of the factors that lead to success. This also included those involved with funding like the Gates Foundation. Unfortunately, the De Blasio administration has increased bureaucracy and shunned the flat organization models of successful schools. This book by Joe Tye uses a fictional format to explain why organizational culture is so important and how you can get the people you lead to help you create the kind of culture you want. My summary deals with the key concepts, but you need the book to access the compelling story and valuable appendix. This would be a good read for your entire team to discuss. Click here to see my summary of All Hands On Deck. Alone Together: Why We Expect More From Technology and Less From Each Other(© 2011, Basic Books: New York, NY) is Sherry Turkle’s third book that explores our lives on the digital terrain. Sherry has conducted hundreds of interviews to gather her data. She explores how the technology that lets us do anything anywhere with anyone can drain us as we try to do everything everywhere and are always on call. She looks at how relentless connections lead to a new solitude and impacts our emotional lives. She also sees hope as people seek to sustain direct human connection. Always On: How the iPhone Unlocked the Anything-Anytime-Anywhere Future and Locked Us In by Brian X. Chen (© 2011, Da Capo Press: Cambridge, MA), is an insightful look at technology’s all-in-one revolution and its consequences. Will we give more control to individual companies and sacrifice privacy and freedom in the process? This is the first book to take on the possible future that products like the iPhone may portend. Brian writes the regular Apple column for Wired Magazine. In order to write this book, Chen interviewed many of the top technology thinkers, innovators, and researchers. APE: How To Publish a Book by Guy Kawasaki and Shawn Welsh (©2012) As the digital world has created a revolutionary opportunity for writers to become their own publishers, a new self-publishing infrastructure has emerged. This book offers a guide to this new publishing universe with details and inspiration. After you read this you are unlikely to let anyone tell you that you shouldn’t, wouldn’t, or couldn’t write a book. 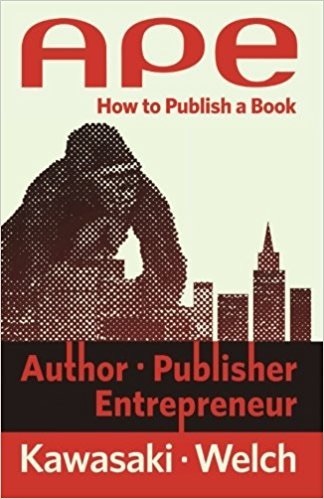 The APE in the title stands for Author, Publisher, and Entrepreneur, and Guy and Shawn devote sections of this book to each part of the process. It makes for a great read and a better reference as you bring your book to life. Be sure to click the icon at the bottom of any page to support this stellar self-published effort. Guy Kawasaki is the author of eleven previous books, including What the Plus!, Enchantment, and The Art of the Start. He is also the cofounder of Alltop.Com and the former chief evangelist of Apple. Kawasaki has a BA from Stanford University, an MBA from UCLA, and an honorary doctorate from Babson College. Shawn Welch is the author of From Idea to App, iOS 5 Core Frameworks, and iOS 6 for Developers. He is also the developer of several iOS apps. Previously he worked as a senior media editor for Pearson Education. He helped pioneer many of Pearson’s earliest efforts in iPad solutions. Welch has a BS from Kansas State University. [Author Section] Why should anyone give a shiitake about your book? This is the question Guy starts with to help you decide if you should write a book in the first place. Keep in mind that people by books to help themselves, not to further your career. Question two is, will your book enrich your readers with some combination of knowledge, understanding, entertainment, or laughter? If your answer is yes you should write a book. Other good reasons include the value of the intellectual challenge, furthering a cause you believe in, and the therapeutic value of the process. Bad reasons are thinking you are in popular demand and that you will make a lot of money. You just might. but the odds are against you. While we don’t have to wait for scribes to hand copy books anymore, publishing a book in the traditional way still takes twelve to eighteen months. Authors and readers can’t wait this long anymore. Guy details the steps and the people involved in the traditional approach from agents to editors to copy editors to publicists. He warns about being rejected, and gives examples of many famous writers who had rejection experiences. He notes that traditional publishing is under siege by many forces, and may not be appropriate for writers like you. Self-publishing, on the other hand, is the best thing that has ever happened to writers. Traditional publishing grew up in a world with limits and logistics such as shelf space, access to printing presses, editing and production expertise, and shipping of physical books. The 1980’s brought us laser printers and software that allowed anyone to publish. This was followed by electronic delivery systems that eliminated the need to print physical books. As a result, publishing is more democratic. That doesn’t mean, however, that the quality is any better. Any intermediaries between the author and the reader must add value or face their demise. Now authors can control content, design, and how long the marketing effort lasts. With print on demand services, books can stay in print for any length of time and revisions are easy to make. More, if not all, of the profit goes to the author. You can get global distribution, set your own price, cut quantity or license deals, and monitor sales as you wish.